Info : Athadu (English: He) is a 2005 Telugu film directed by Trivikram Srinivas. The movie stars Mahesh Babu, Trisha Krishnan, Sonu Sood, Nassar and Prakash Raj. The movie's soundtrack was scored by Mani Sharma. The film went on to become one of the highest grossing films in Tollywood. The movie was dubbed into Tamil and Malayalam languages as Nandhu and Target respectively. Athadu has also been remade in Hindi as Ek: The Power of One and in Bengali as Wanted. The script for this movie was loosely based on the book Point of Impact and Hollywood film Assassins. 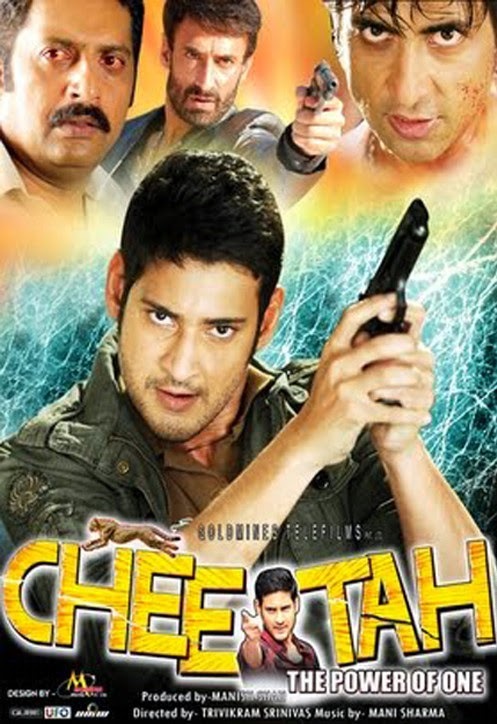 The film was also dubbed in Hindi as Cheetah - The Power Of One and released on February 11, 2013.